Provincial politics in Alberta, Canada is, frankly, rarely of interest to people outside the country. But the story of the merger of two of the provinces political parties and the leadership election that ensued has actually offered a fascinating insight into how VPNs can be used to spread democracy and, possibly, abuse it too. In July 2017, the Progressive Conservative Association of Alberta and the Wildrose Party agreed to merge to into a single political party. It was to be called the United Conservative Party (UCP). The vast majority of the members of both parties agreed to the merger and in October 2017, there was an election to decide who would lead the new UCP. There were three candidates, former Progressive Conservative’s leader Jason Kenney, former Wildrose leader Brian Jean, and Doug Schweitzer. Kenney won 60% of the vote in the first ballot and was duly elected leader. It seemed that the merger had gone as smoothly as could be expected although there has predictably been some internal angst between defeated leadership candidate Jean and elected leader Kenney. This reared its head once again earlier this week when on Monday Kenney went public with accusations that the other leadership candidates had been using VPNs to manipulate voting for the campaign. Voters could cast their votes online for the leadership election, but that obviously left a proportion of the population, mostly seniors, who do not own computers or have internet access unable to cast their ballot. According to Kenney both of his rival candidates chose to set up voting stations where these seniors and other voters could go to vote for their preferred candidate. However, there was a problem. Under campaign rules, no more than six votes were allowed to be registered from a single IP Address. Kenney alleges that the other campaigns got around this restriction by installing a VPN onto these computers. By using a VPN, such as ExpressVPN, and connecting to different servers it is possible to access multiple IP Address on the same computer. Most people use VPNs in this way to protect their online privacy or to access blocked content online. 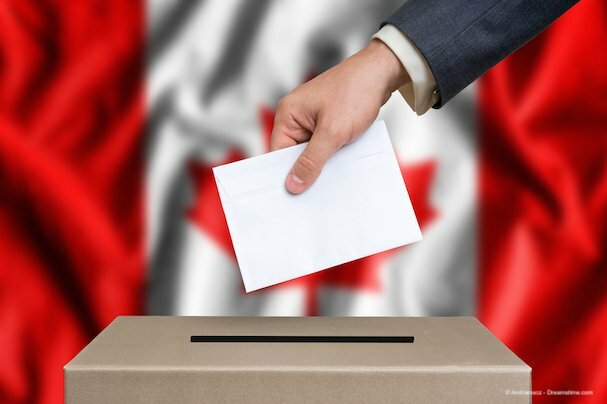 But in the case of the UCP leadership election, it also enabled campaigns to allow multiple voters to cast their vote using the same computer. Are VPNs good or bad for democracy? There are two ways this technique could be viewed. For some, this is a VPN being used to enable the democratic process and allow voters who might otherwise be disenfranchised, to have their say in who should lead their new party. For others, however, this is a technique that allows campaigns to cheat the system and potentially commit voter fraud by using a VPN to cast illegal ballots. The fact that Kenney is making these accusations against other candidates who lost the election strongly suggests that it was being used for the former reason rather than the latter, it has nonetheless proved highly controversial in this part of Canada. Brian Jean, one of the candidates accused of using VPNs in this way, took to Twitter to vehemently deny that his campaign ever used VPNs in this way and called on Kenney to retract the accusations. “To set the record straight: my team never cheated, used VPNs or voter kiosks during #ucpldr race. In fact, we complained to committee when a team was caught using them. @jkenney needs to retract statements made this morning,” he wrote. He went on to tell Canadian broadcaster CBC that it was Kenney’s team who were using VPNs in this way. Kenney’s team have since backtracked somewhat on the accusations, admitting that they do not know the intricacies of how other campaigns operated and even embracing how VPNs could help oil the wheels of democracy. “He was commenting in general on how all leadership campaigns made great efforts to ensure UCP members could register and exercise their democratic vote in the leadership election,” said a UCP spokesperson. The upheaval within the UCP over the allegations will continue to rumble on and that truly is something only really of interest to aficionados of Canadian provincial politics. But the broader theme of how VPNs could either support or undermine the democratic process is something that should be of considerable interest to the wider world. Online voting is becoming more and more common in democracies around the world, but there is an acute awareness that it is not without its risks. There is an equal possibility that VPNs could be used to support or undermine online voting. In this one example from Canada, it seems, on balance, as if they have only been used for good. But there is undoubtedly a lesson for all governments and electoral bodies around the world. If you are going to roll out online voting, be aware of the power of VPNs to influence this systems and try to regulate to ensure that they can only be used for good, to help people cast their vote, rather than to help malicious actors undermine democracy.